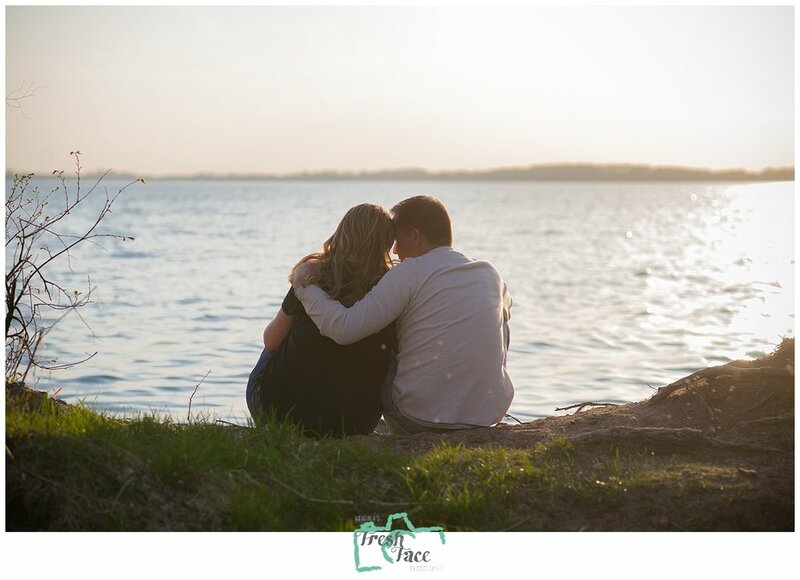 Amanda and Brenton are gearing up for the October wedding and we could not have had a more beautiful April evening for their engagement session. The weather was warm, the wind was almost non-existent and for the most part the bugs were at bay! 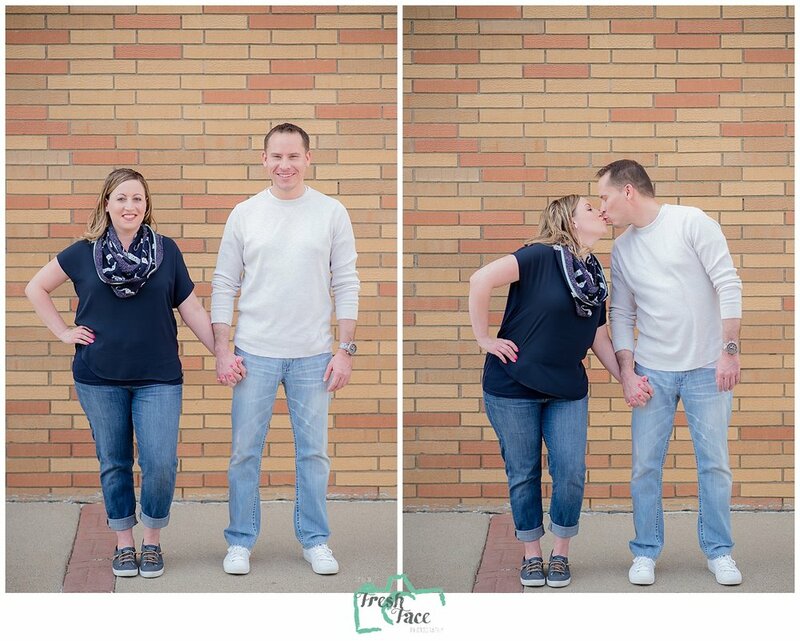 We started the shoot in downtown Waconia and walked around getting casual shots of them. It was fun posing them and directing them and watching them just fall comfortably into each other's arms. 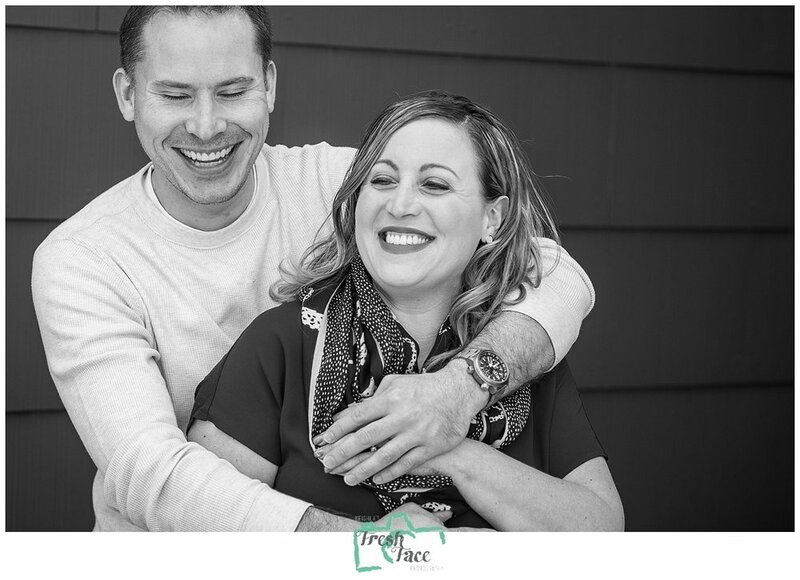 Engagement sessions, to me as your wedding photographer, are a great way for us to work together before your big day. You get to see what it's like to be in front of my camera getting directions from me and learning to understand what I am asking you to do and why. I get to make you awkwardly laugh JUST so I can get the real giggles after the fakes. 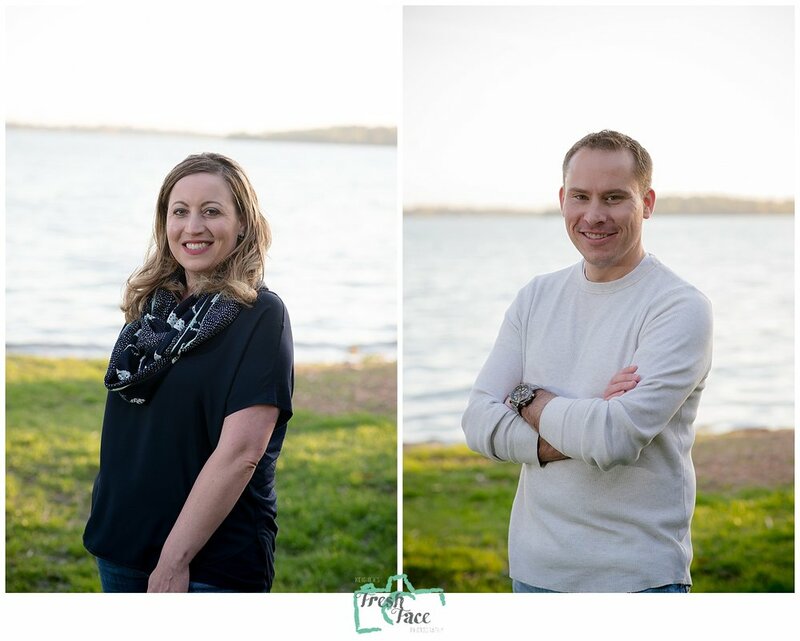 We get to chat about wedding planning and concerns you have - which is a great opportunity for me to tell you whatever it is your worried about probably isn't that big of a deal. I get to see how you and your love interact and how comfortable you are with me. 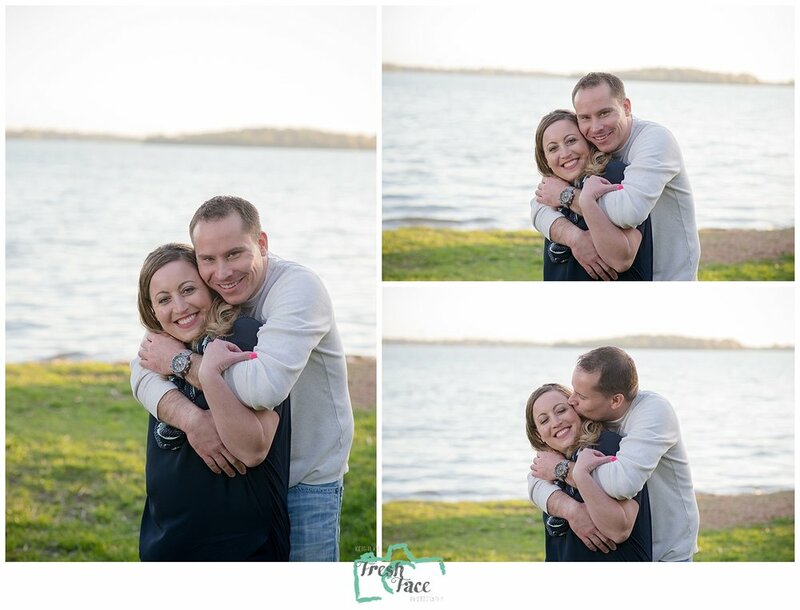 And photos of you before your wedding day is a fun little byproduct, too. On this night we also went down by the lake so they could have some photos there, too. That made for some beautiful backlit images. Sometimes the ones where you can hardly make out what the image is can be some of my favorite; it's as if the world outside of your love is fuzzy and you're the only two that matter! Can't wait to capture your day with you guys in just a few short months.